Ok, want to talk cute? Look at these. 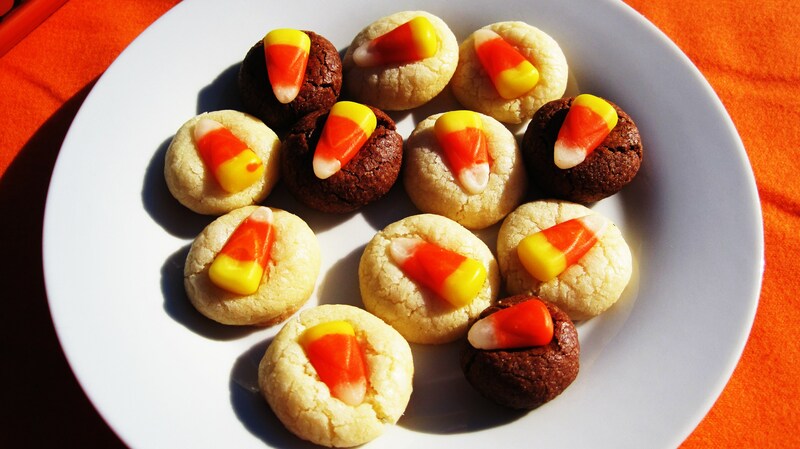 There like little Candy Corn Buttons! I love them!!! I made two batches of these Cutties! One Chocolate and one plain! There tiny but ohhh, sooooo good!! 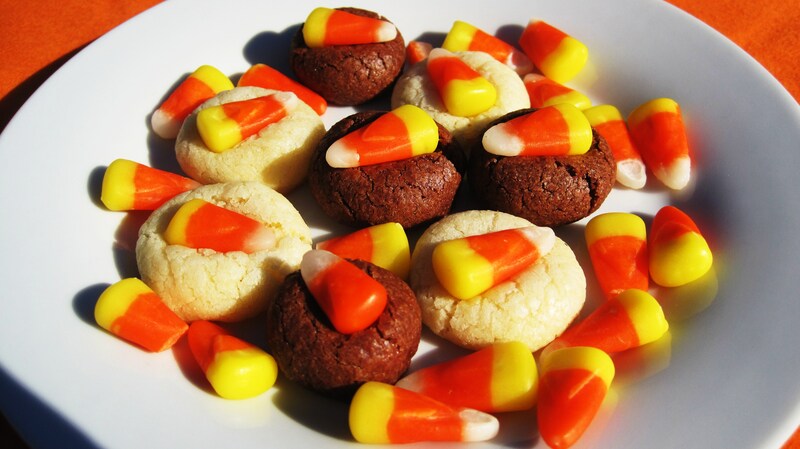 I figured I am watching calories, watching sugar, so I thought if I make these small I can have a few and it will be guilt free! I made these little guys for my work Halloween party on Monday. Hope they last till Monday! I got this recipe from Martha Stewart. I like it because there isn’t much butter or sugar for sugar cookies, way healthier then using sticks of butter. Who needs all that? Besides I want to bake other stuff too, and I need to save calories and fat where ever I can!! Note: I used my hands during the final mix, otherwise they seemed to not stick well. 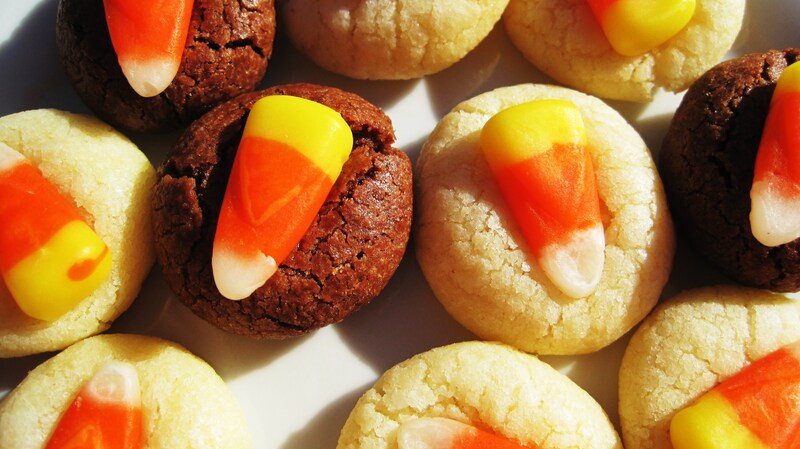 Also, press the candy corn in lightly, the cookies tend to crack. I used and leveled off a teaspoon to get 35 cookies, otherwise if you make normal size cookies you will probably get about 12 in the batch. P.S. Save the egg whites, to make ghost meringue cookies!! Recipe coming soon!! I am loving these little Guys! I hope everyone else does. Oh and these would also be a nice touch at Thanksgiving!! 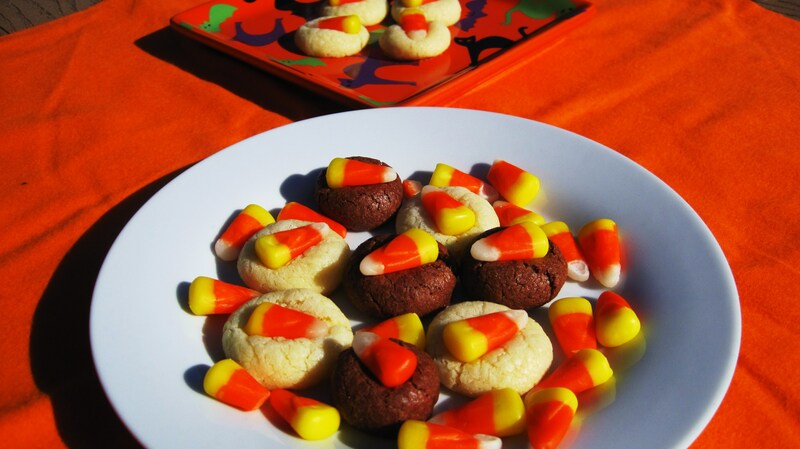 These are not just for Halloween Cookies! Have a great rest of the weekend and Happy Halloween!!!! 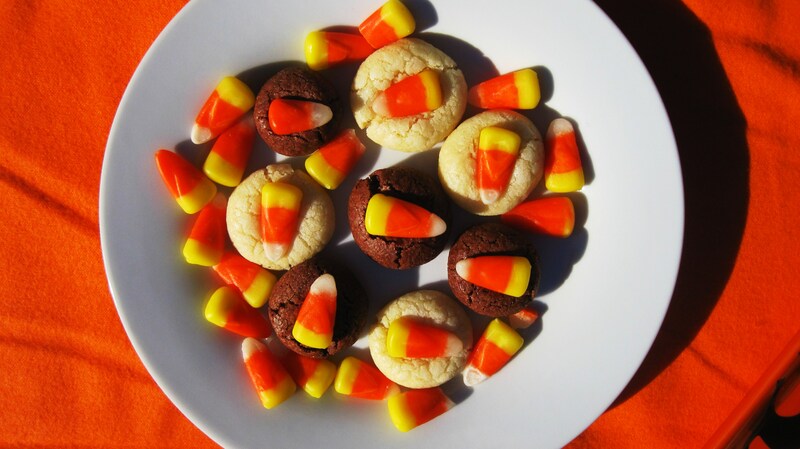 These cookies are super-cute! 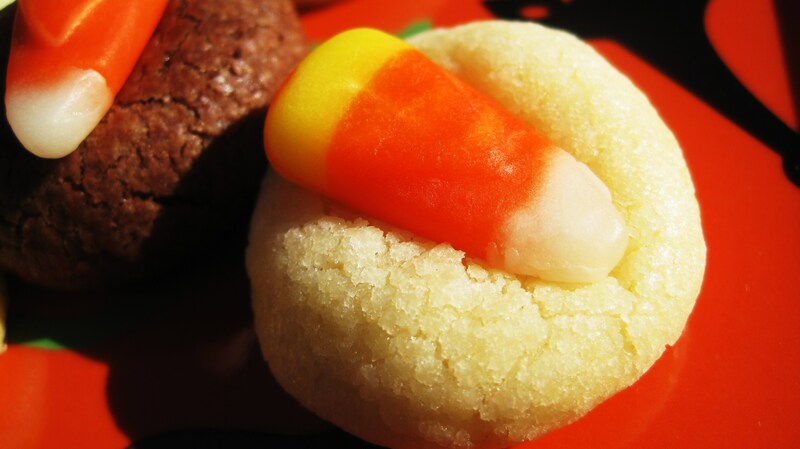 What a great idea to press a candy corn in a cookie! Jennifer, these cookies are darling! Perfect for Halloween. I haven’t been by in awhile and I LOVE your blogs new look! 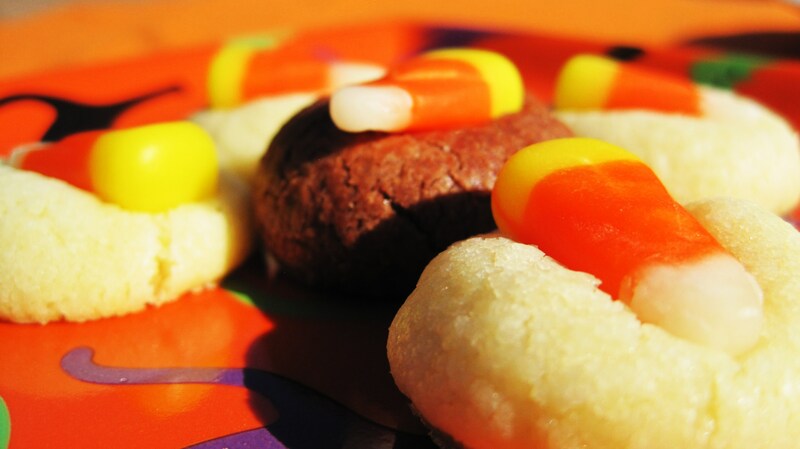 Thanks for sharing at the Spooktacular Halloween link party.